So, my little brother flew to Sydney a few weeks back to go to a Kpop concert. Upon hearing where he was going I immediately told him "Go to Daiso and get me some false lashes!" And here's what he got me. He got me lashes alright, but...he got me five pairs of the same style. PRICE: at $2.80 a pair, the value for money is excellent! I threw away the glue provided, it was half dried up- not a big loss, though. LENGTH: Definitely. 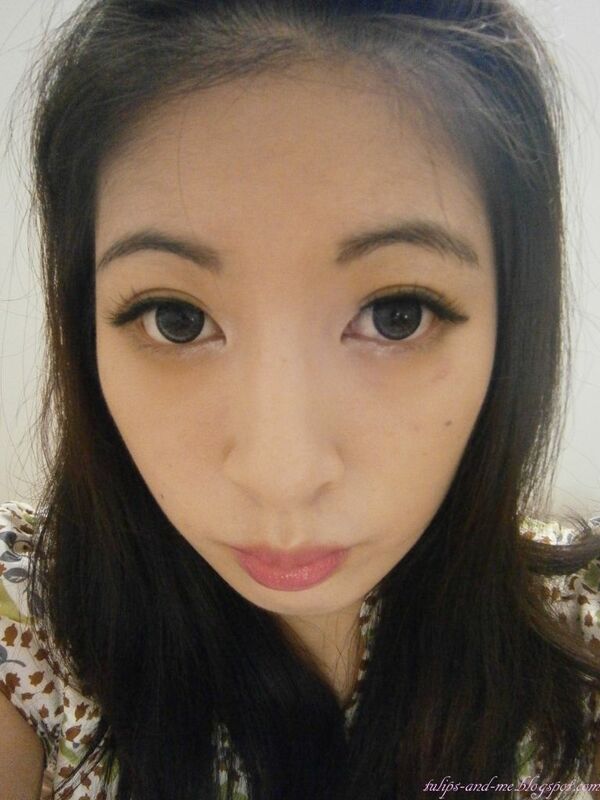 A noticeable length, from both a side view and a face front view. Not incredibly fake looking. 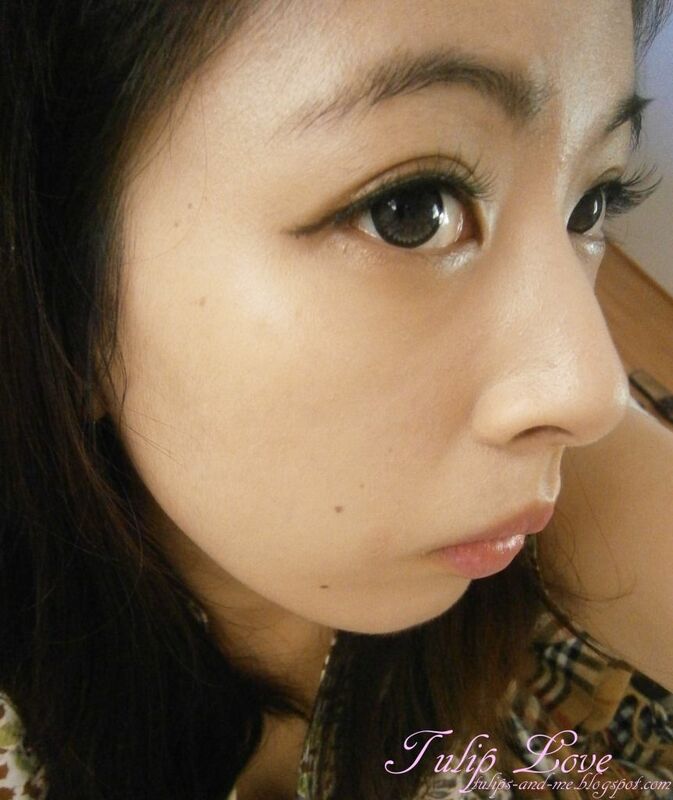 But I sort of want to snip a little off the ends of the lashes in the middle. VOLUME: The criss-cross style allows for some volume at the base of the lashes- but not a considerable amount of volume overall. APPLICATION: Extremely easy. No lie. The right eye fit perfectly, no flexing of the lash band, or adjustment required- I was a little amazed actually :) The left eye needed a little more time for the corners, but application time was quite minimal. 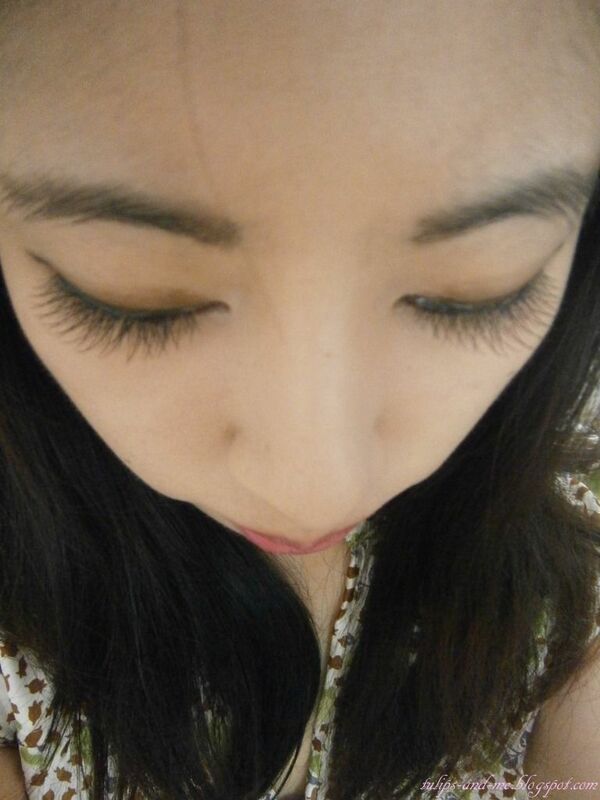 The curl of these lashes is quite pronounced too. These lashes were very comfortable. It wasn't heavy, I couldn't feel it on my lids, and it didn't constrict my view. OVERALL LOOK: Slightly too long to carry off as 'natural', but still workable for an everyday look. From a face-front viewpoint, these lashes aren't too dramatic - as long as they are applied closely to the lash line, and not pushed vertically up. 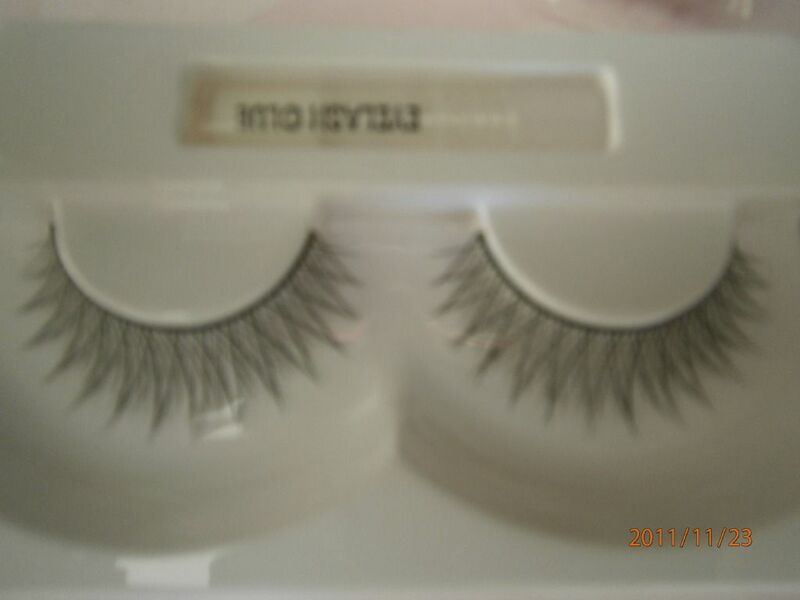 These would suit anyone who wants long lashes and less volume. Personally I prefer thick, lush lashes over long, skinny lashes, so I would've have liked a bit more volume. The next time I wore them, I applied them as close to the lash line as possible, and made sure they did not 'fly up' and I ended up with a much more natural look. The length is more obvious from a side view. From a face front view, I didn't think they were as obvious.